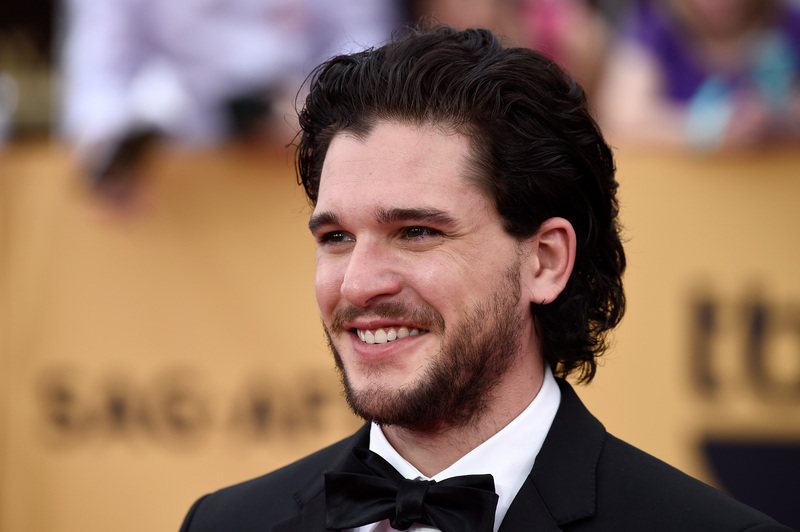 If there's one actor that has been the subject of plenty of TV controversy, it's Kit Harington. The Game Of Thrones star broke hearts last year when it seemed that his "know nothing" character Jon Snow had met his maker at the stabby hands of the Night's Watch. Fans speculated that the actor and his character would return to the series, and many resurrection theories were firmly planted in the fact that Harington didn't dramatically cut his hair or shave his beard during filming of Season 6 of Game Of Thrones, implying he was filming scenes as his character. Now, it seems that Harington is breaking hearts all over again, and it has nothing to do with Snow and everything to do with his beard. Harington has shaved his beard, and we may be mourning this loss for longer than that of the alleged Game Of Thrones savior. We may not know why Harington chose to go the fresh faced route, but he did emerge beard-free while greeting fans after a performance of his London play Doctor Faustus. It doesn't seem like Harington cut his hair for a role in the play, as the play opened on April 9 and the poster features a bearded Harington. However, there is a very reasonable explanation for why Harington might have cut his beard: it's getting warmer. Who wants a fully bearded face while running around the streets of London in the muggy months of July? Perhaps Harington is testing out his new, clean-shaven look pre-summer so he can really get used to it before the weather gets unbearably hot. Harington still looks ridiculously good (it would take more than a razor to wreck this dude's face) but fans on Twitter aren't all that thrilled with his new facial aesthetic. Like Jon Snow, when it comes to Harington's beard, we all truly know nothing... except for the fact that we all really, really liked it.